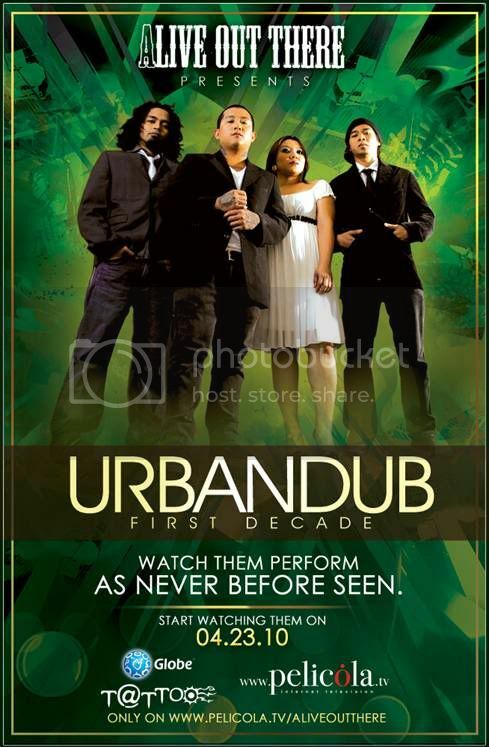 BE AMONG THE FIRST TO EXPERIENCE AN EXCLUSIVE ONLINE CONCERT WITH URBANDUB, PELICOLA.TV AND GLOBE TATTOO! 1. Post any of the Official Teaser videos or posters on your blog / social network. 2. Include a link to http://Pelicola.tv/AliveOutThere on your post. 3. Leave a comment on this blog post with the link to your post to validate your entry. 4. By May 3, we’ll be raffling off AOT online concert passes to 4 lucky fans. Great way to spend the week with your rocker friends! View a slidesow of my photos of the show here. All taken with a Pentax Spotmatic film SLR camera!